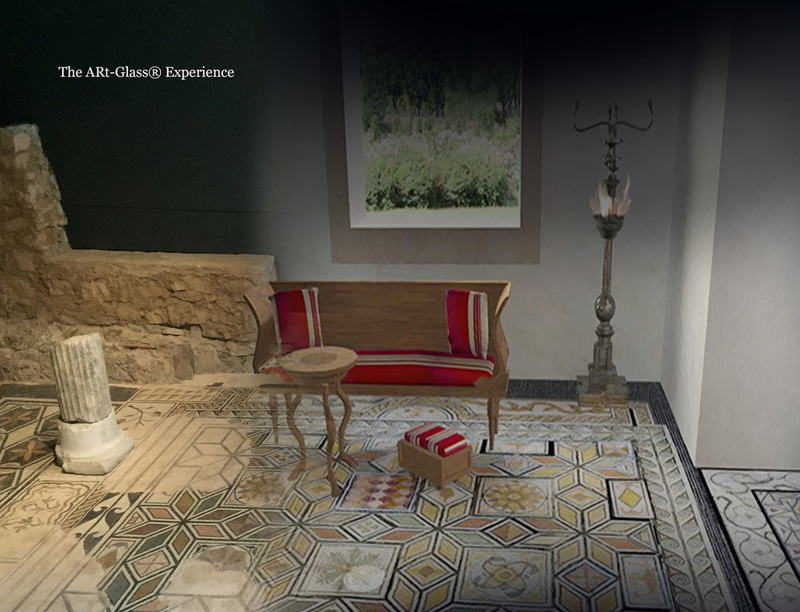 Santa Giulia City Museum opens to Augmented Reality, giving its visitors the opportunity to undertake an amazing virtual tour inside one of the most suggestive area of the museum, in order to celebrate its first 20 years of activity. 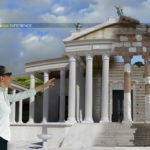 From Thursday 12 July to Sunday 30 September, Brescia Musei Foundation and the Municipality of Brescia, in cooperation with the Cultural Heritage Superintendence and Lombardy Region, extend the ultra-technological trip of immersive vision to the complex of Domus, three years later the success achieved at BRIXIA Archaeological Park of Roman Brescia by the ArtGlass application on smart glasses. 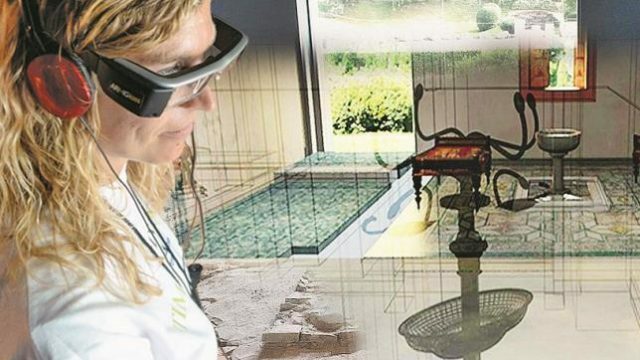 The new experience adopted all the technological and editorial innovations developed by ArtGlass over the last years: a greater sharpness of the images, hyper spectacular animations and a more precise overlap between reality and digital AR content. 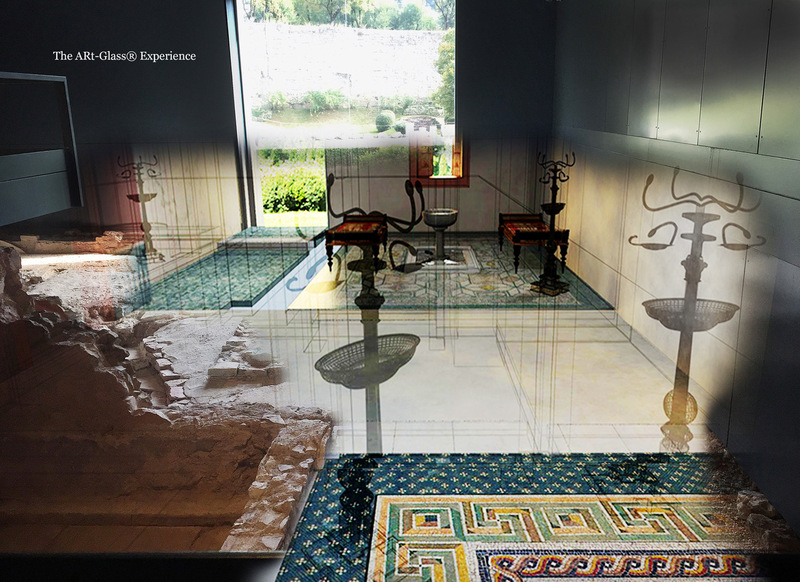 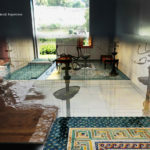 The virtual itinerary through the complex of Domus dell’Ortaglia together with the augmented reality content let visitors immerse themselves within streets and private residences of the Roman Brixia, especially inside the Domus of Dioniso and the Domus of the Fountains. 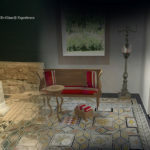 The virtual reconstructions have been made possible thanks to the information revealed during the archaeological digs carried out by the Archaeological Superintendence and the Municipality of Brescia between 1999 and 2001, data had been reprocessed by studies produced by several experts who interpreted and compared them, restoring the original appearance of the domus, that is of high concern to visitors. 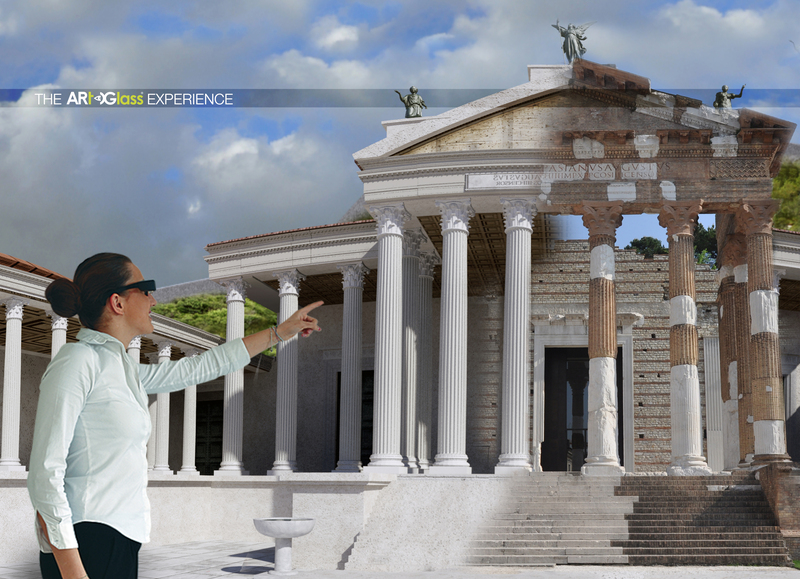 Possibility of a combined ticket for the visit at the Capitolium with ArtGlass € 10,00.